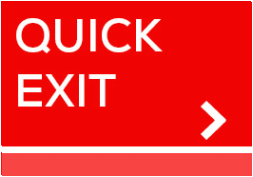 Clicking on each image will open a larger file. 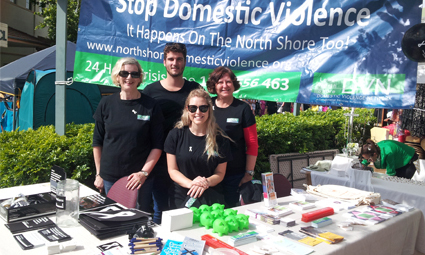 The Lower North Shore Domestic Violence Network were the fortunate recipients of a $300 donation from Grill’d Neutral Bay recently. 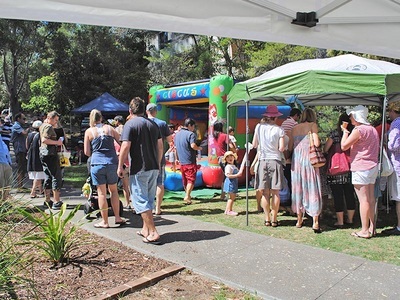 The Grill’d restaurant chain is involved in a community service project known as ‘Local Matters’ – where every month, three local charities or organisations are invited to put themselves forward for the award. Diners ‘vote’ with tokens and the organisation with the most tokens at the end of the month wins $300 – the others don’t go away empty handed – they also receive a smaller donation. 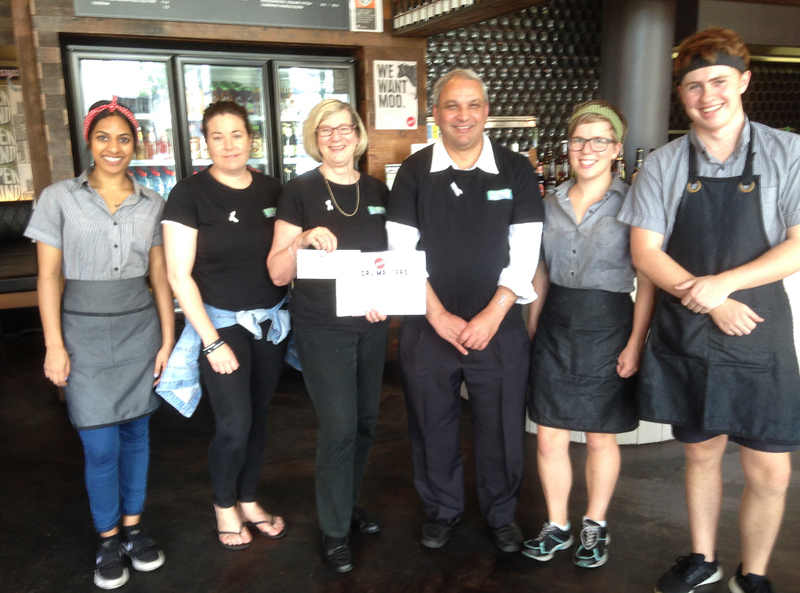 The LNS DV Network would like to thank Grill’d for their continued support and generosity. 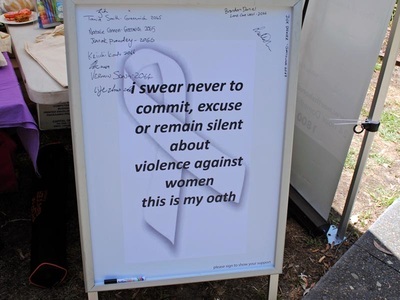 This donation was used to cover the cost of reformatting our booklet ‘DV is a Crime’ to a print-friendly version – see the Resources page! 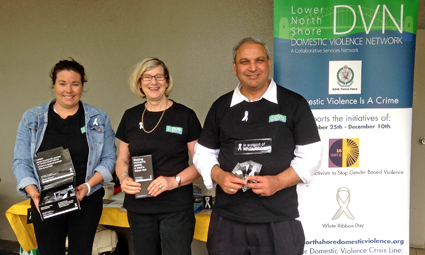 A DV forum “Tackling Domestic Violence Together” was held June 19 at Mosman Seniors Centre, facilitated by experienced presenters Priscilla McCorriston and Libby Watson. 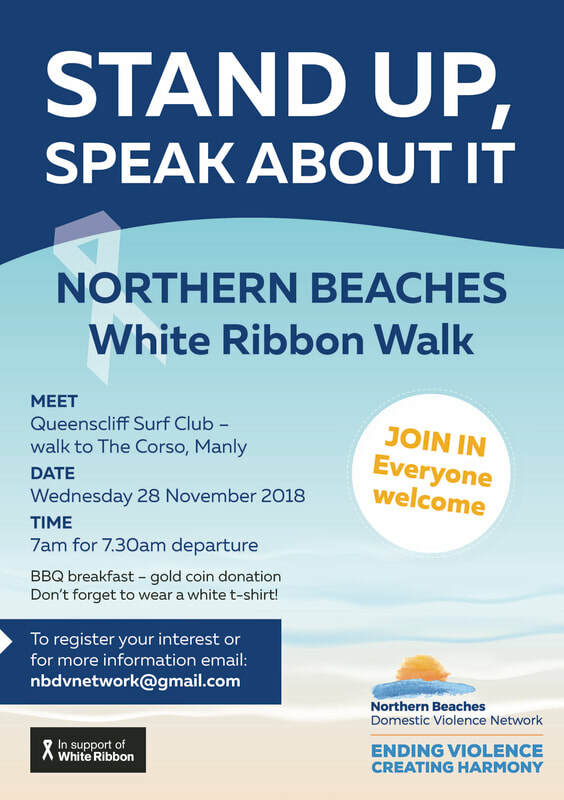 This successful forum, sponsored by Mosman Council, provided an opportunity for community workers to learn more about domestic and family violence, how to identify risk factors and what services to contact if assistance is needed. 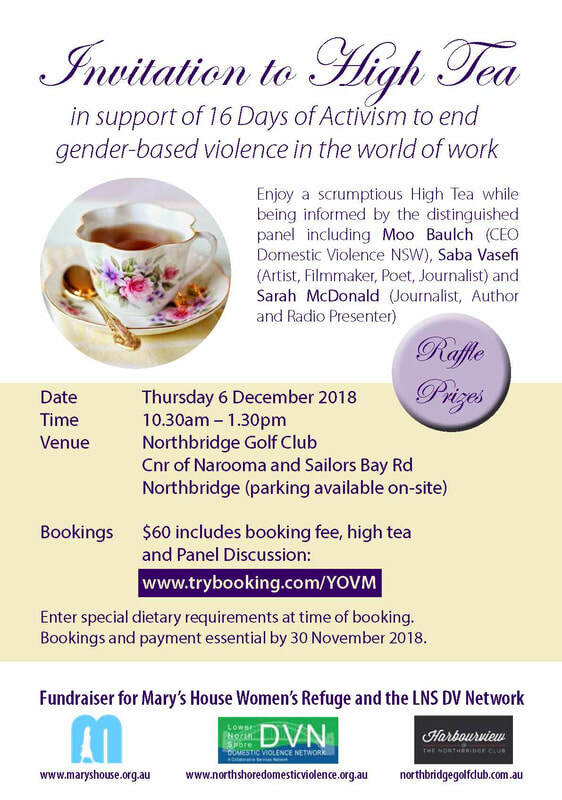 A number of domestic violence services were invited to attend and participate, allowing for very useful networking amongst all the attendees. Left to right: Sue Spencer, Conference Presenters & Peter Abelson (Mayor of Mosman). 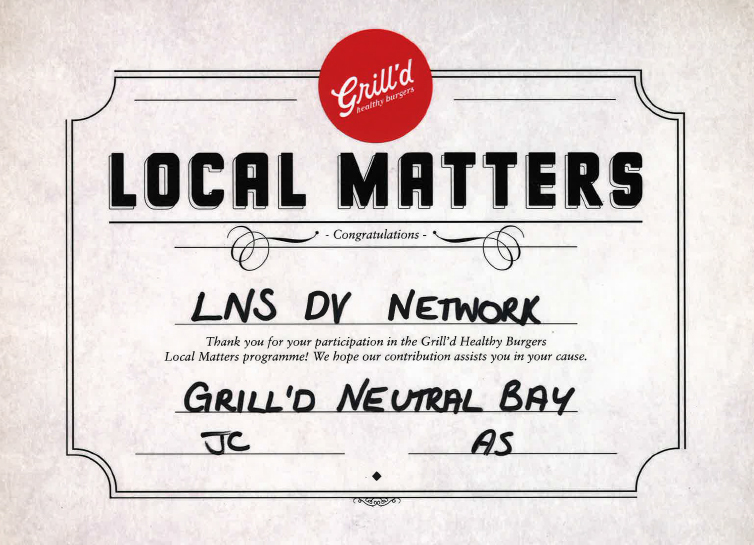 The LNS DV Network would like to thank Grill'd for their continued support and generosity. 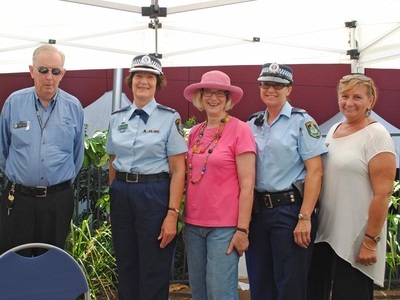 This donation was passed on to one of our local refuges for women and children escaping domestic violence. 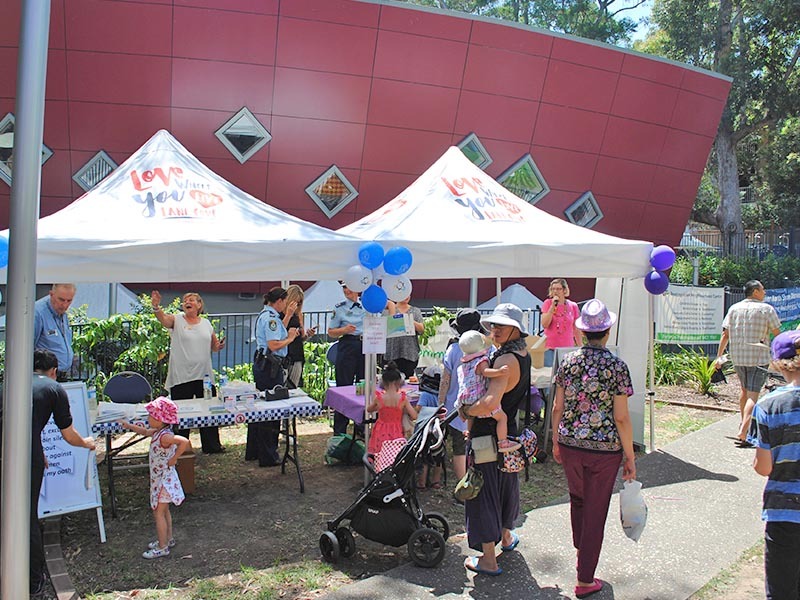 Goodlet Reserve, Lane Cove was a hive of activity on Sunday November 23, as the LNS DV Network 2014 Family Fun Day was held in recognition of White Ribbon Day (November 25). 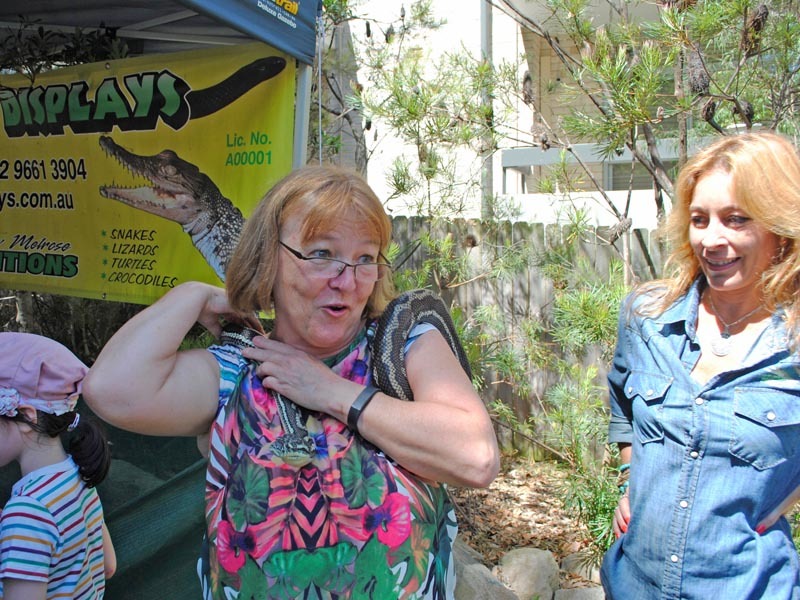 There were lots of fun activities for kids and their families – a jumping castle, face-painting, balloon animals and even some critters, with some scary (and cute) reptiles to see and handle. 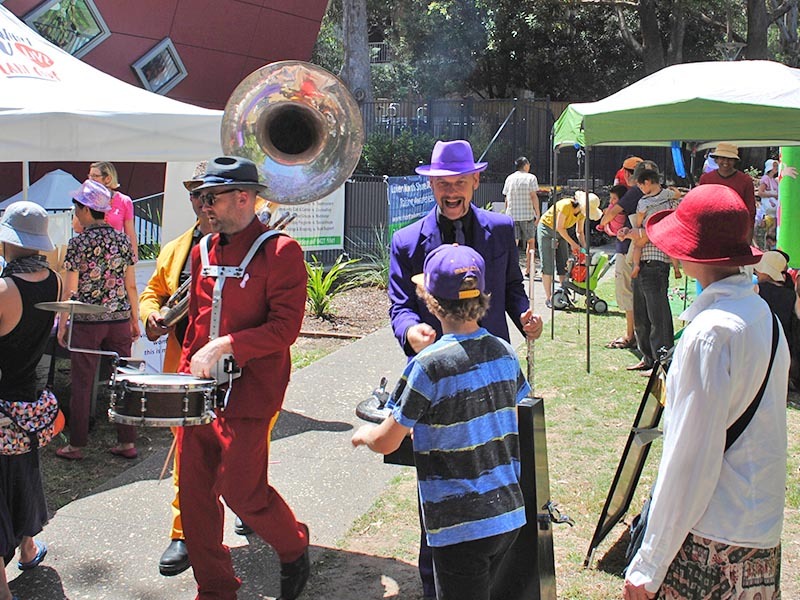 There were roving musicians, a sausage sizzle and lucky door prizes galore! Lane Cove Council sponsored the day and the Mayor attended to speak and to support the White Ribbon cause. Representatives from the Chatswood Local Area Command of NSW Police were there to hand out information and talk to community members, as were members of the Network. It was a very successful day and a big thanks goes to Lane Cove Council for their support.